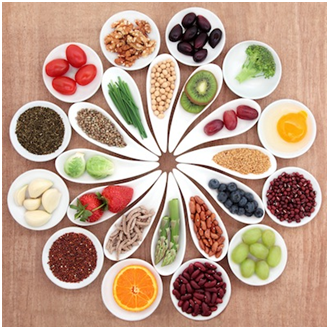 The best way to get healthy and beautiful looking you is to add superfoods in your daily diet. Eating healthy is one of the best ways to make your body function actively. Your pre-wedding preparations start right after the engagement and you have the lot of things to do including exercise plan, diet plan and beauty checklist. Superfoods are multi-tasker, they help to fight against various diseases, full of nutrients, boost energy and provide fewer calories. The simplest way to get healthy is to add these superfoods into your daily routine. This green vegetable has the great impact on your overall health. It is rich with potassium, vitamin A, C and K, calcium and dietary fibers. It prevents wrinkles and fine lines. Broccoli health benefits are various including slow aging, minimize the risk of hypertension, stronger bones and defends against birth defects. This amazing fruit is full of nutrients and healthy fats important for life. The healthy monosaturated fat present in avocado is oleic acid, which helps to lower cholesterol level. Studies found that having avocado in diet continuously seven days, there is the significant decrease in LDL cholesterol and an increase in HDL cholesterol. Nuts are loaded with magnesium and polyunsaturated fats, which are essential nutrients for a healthy heart. These nutrients also provide protection against insulin, which can cause diabetes. Antioxidant including ellagic acid and resveratrol lowers body inflammation and decreases the chances of cancer. Besides, nuts contain insoluble fiber that keeps you healthy and fit. Simply apply peanut butter on bread or have the handful of almonds and peanuts as a snack. Oranges packed with nutrients and fibers are the big source of vitamin C, it promotes healthy skin, hair, and nails. Orange reduces the risk of many diseases and fights against infections.it is also a great antioxidant that protects body cells from damage. Oranges also play the vital role in skin-firming collagen, thus keeps skin fresh and healthy looking. It reduces wrinkles, improves skin texture and helps to fight against skin damage caused by pollution or sun radiations. Sweet potatoes consist of Vitamin B6, vitamin C, Beta-carotene, fiber, and potassium. Alpha and beta-carotene present in sweet potatoes help keep eyes, bones and immune system strong. These all elements are the source of vitamin A. One sweet potato approximately provides four times the daily value of vitamin A with some vitamin C and zeaxanthin. Oats are the healthy snack and suitable for breakfast. Consuming oats daily is a quick and easy way to fill your fiber intake and important nutrients. Oats keep you full all the day and fiber is best for digestion. Simple oats do not have sugar and it is the good choice as a healthy snack. You can take plain oats or make blueberry oat cake in combination. A good source of protein packed with nutrients, certainly the best superfood. A single egg contains approximately 70 calories and high-quality protein. Eggs yolks are rich in lutein and zeaxanthin, oxidants that retain eyes healthy. Lutein protects the skin from UV damage. Omega 3 fatty acids present in egg keeps body functions properly. A beautiful and super healthy fruit is a great source of the vitamin. Just a few pieces of red strawberries fulfill the daily need of vitamin C. it contains antioxidant that boosts immunity, repair tissue and reduces the risk of heart attack. Yogurt is full of probiotics that keep your digestive system healthy. It is a huge source of calcium, phosphorus, zinc, potassium, vitaminB12, and protein. One bowl of yogurt completes the daily requirement of calcium in the body. You have a lot of options to add yogurt to a daily diet, flavored yogurt, mixed with fruits and plain yogurt is also a good choice. Besides, you can also apply plain yogurt on a face and leave it for few minutes. It will leave your skin healthy and glowing. Beans of any kind provide a healthy twist in your diet. They are rich in protein and low in cholesterol. Beans are loaded with fibers, magnesium and foliate, which are essential for the body. Studies show that legumes can help to lower cholesterol level and minimizes the risk of cancer. You can simply boil it, sprinkle some spice and consume it or make beans salad for variety. These superfoods are not only good for the pre-wedding diet but are important for the whole life.